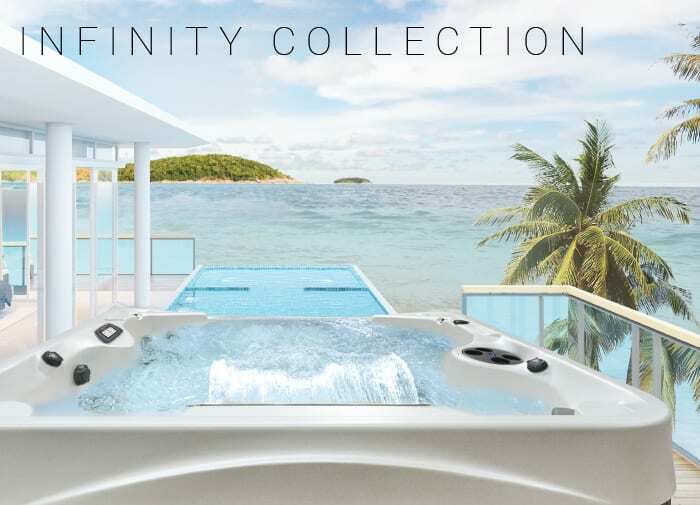 One of our talented desigeners will translate all your wants and needs into a vivid 3D design so that you can experience your new pool and it's surroundings before it is even built. 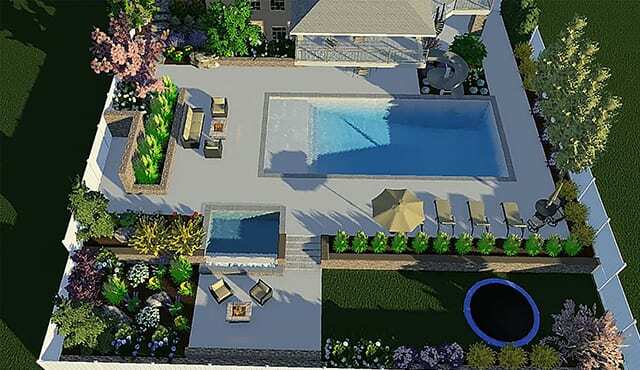 Once the design process is complete and all changes are finalized, our team will layout the frame of the pool location and start the excavation process. 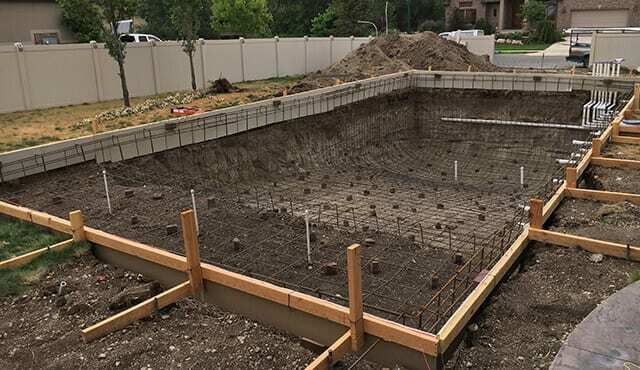 When the dig is complete, structual steel will be placed horizontally and vertically to create the pools form. 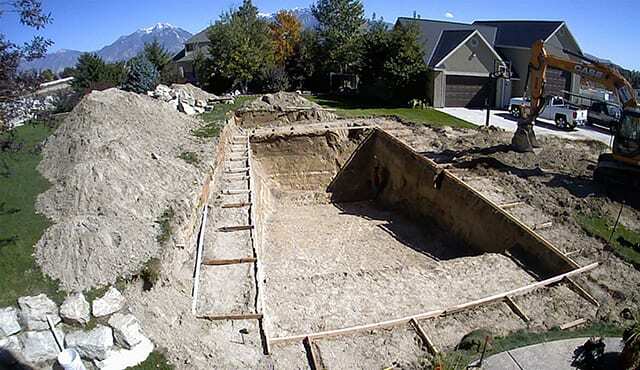 Custom plumbing will then be placed into the completed structure in the appropriate areas. Gunite is a mixture of rock, sand and cement that form the walls of the pool. 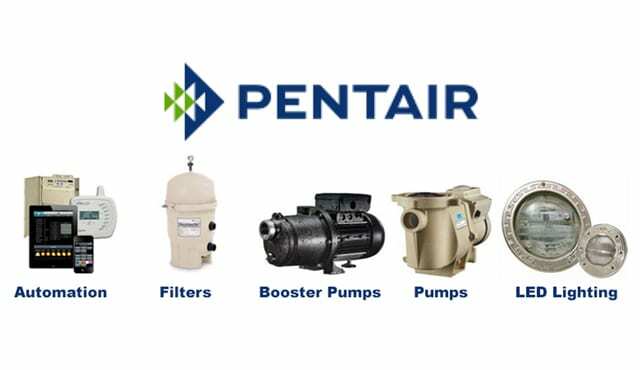 This process will be applied by our team using a hose with high pressurized air. 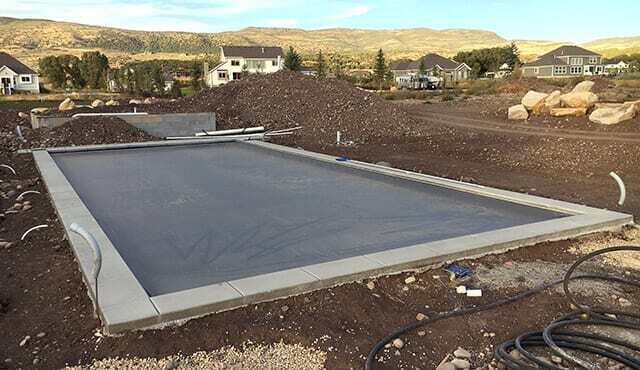 The mixture will cover the entire steel structure and be smoothed out to complete the pools overall form. 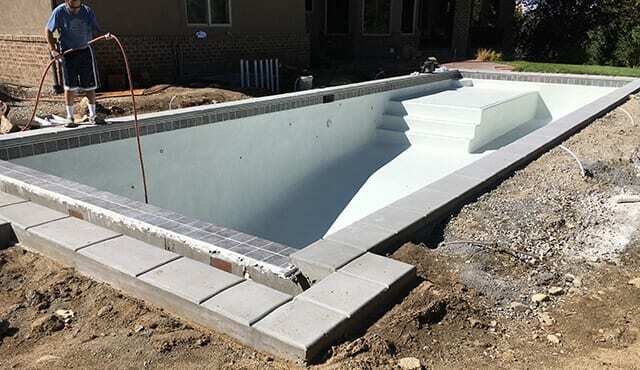 The top edges of the pool will be floated to lay the track for the pools automatic cover. 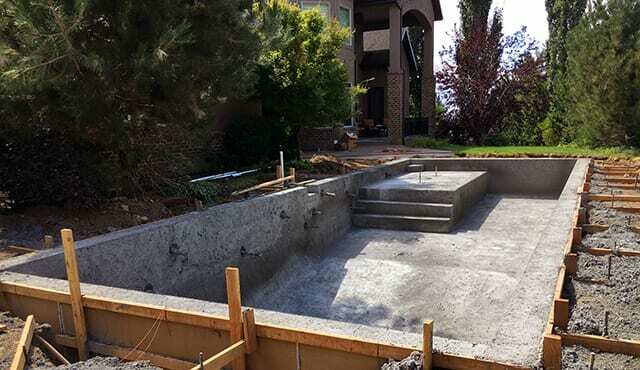 Coping will be poured and laid on the edge of the pool to cap the walls. 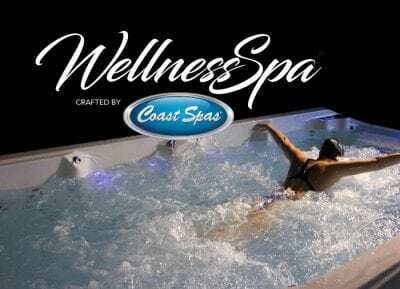 Throughout this process, tile will be hand-laid and carefully grouted around the entire pools wateredge and step ledges. Once the equipment arrives onsite wire and bonding will be connected. 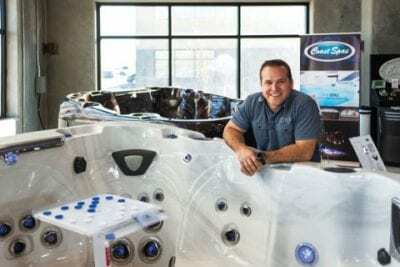 All filtration equipment will be installed and connected to plumbing for pool startup and operation. This step gives the pool a finished, luminescent look and is the waterproof layer, protecting the pool shell and steel. 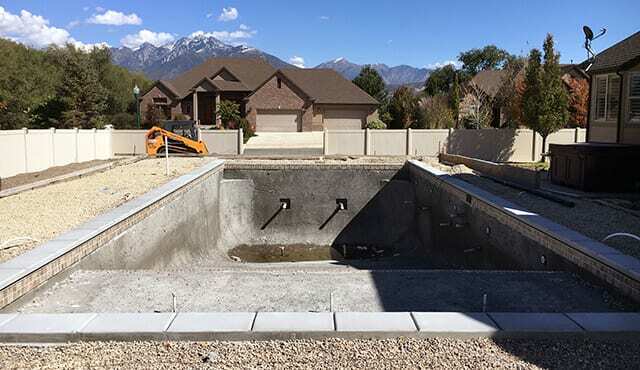 Using a hose applicator our plaster team will arrive onsite to apply the chosen the material to the surface of the entire pool. Once applied the team will trawl (smooth the surface by hand) until the process is completed. After the pool will be filled with water. The automated cover system is installed into the walk on tray lid at one end of the pool.